The Marvel Fact Files Special #13 features She-Hulk as seen in her original comic look. She-Hulk flexes her green muscles and is dressed in her purple and white outfit and white shoes. 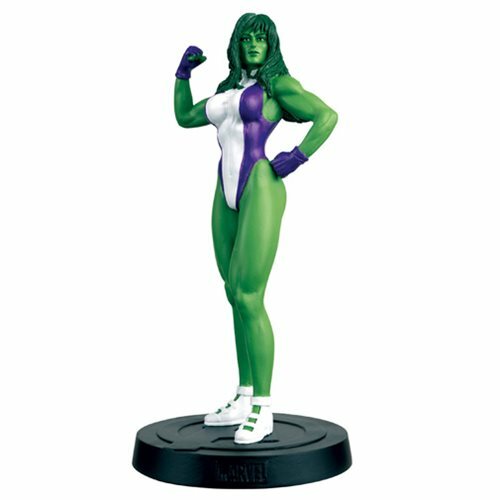 The She-Hulk statue stands at a mighty 5-inches tall and comes with a 20-page magazine detailing the character's comic publishing history. Ages 13 and up.